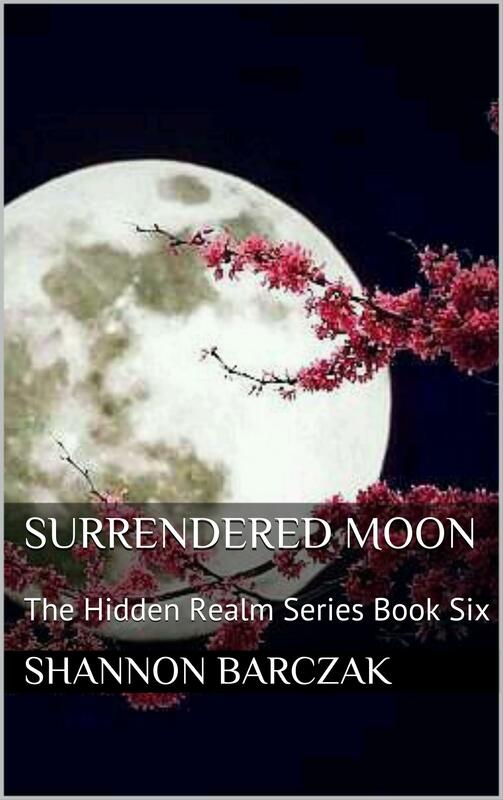 I am very thrilled to announce that Surrendered Moon is released and available for digital download! Writing a six book series was quite a challenge for me. The whole process took longer than I thought, but I am pleased with the end result. It’s going to be hard to close the book on this series. I’ve been with these characters and getting to know them for well over a year now, but alas, it is time to say goodbye. I hope that you enjoy the final installment in The Hidden Realm Series and I thank you for your continued support. In the final installment of The Hidden Realms series, best selling author Shannon Barczak invites you along on an unforgettable journey of love and salvation. Lady Marianna of Fairyland was now officially the Queen of the Werewolves, but King Maximus wasn’t quite ready to surrender to her just yet. Magically encased on a crazy witch’s property for two weeks, the new couple tries to repair their fragile relationship and start over once again. As they make their way back to the Werewolf Realm, new dangers greet them and a horrible tragedy, as well as a shocking imprisonment, threatens to tear them apart once more. Join Marianna and Maximus as they navigate the magic of The Hidden Realms one last time! Download here and start reading!